The dispute is partly over the definition of the term “Counterfeit Drug” and is wrapped up in disagreements over what some view as patent/profit protection out-weighing patient protection in developing countries. It’s a very valid question that deserves soul-searching public debate. Let’s have that debate. But you don’t encourage that debate by putting up barriers as the WHO seems to have done in this case. Perhaps they feel that debate has already been concluded and this group is simply refusing to move on. I don’t know. But even if that’s what it is, I think they could handle it better. Legitimate pharma manufacturers have a huge interest in blocking criminals from counterfeiting…er, “falsifying” their products. Yes, they have a big financial interest that is directly impacted–they also take a hit to their reputation when a patient fails to receive the therapeutic effect expected from the real drug when a fake drug is administered–but they are in the business of helping people live longer, more healthy lives. 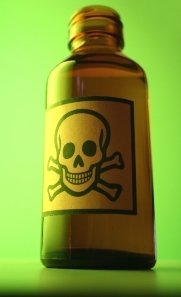 When they deceitfully cloak their inferior product in the packaging of the brand, counterfeiters, who don’t follow Good Manufacturing Practice (GMP), earn huge profits from the good reputation that the brand manufacturer has built through years of following those standards. That’s not a patent issue–it’s fraud and it should be illegal everywhere and pursued vigorously. 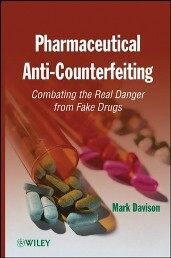 Author and consultant, Mark Davison, wrote the definitive book on anti-counterfeiting technologies called “Pharmaceutical Anti-Counterfeiting, Combating the Real Danger from Fake Drugs“. See my essay “Pharmaceutical Anti-Counterfeiting, A First-Rate New Resource“. In that book, Davison explains a very wide range of technologies used to block, stop and/or detect counterfeit drugs. I highly recommend it to anyone who wants to understand the full range of technologies available. In this essay, I want to focus on serialization as an anti-counterfeiting technology. Simply applying a unique number (let’s call it a unique identifier since it can be composed of digits and letters) doesn’t really do much to block, stop or detect counterfeit drugs, so “serialization” by itself is not really an anti-counterfeiting technology, but it is the key to making a number of true anti-counterfeiting technologies work. For example, the State of Florida tried to impose a package-level drug pedigree system on wholesalers to combat counterfeit drugs back in 2006, but because it did not require the use of package-level unique identifiers (and for a host of other reasons) it did little more than add process costs to the delivery of medicines there. The counterfeit drug problem declined there and elsewhere in the United States about that time due to other reasons (see my essay “Do We Even Need To Mandate Drug Pedigrees Anymore?“). Without the package-level unique identifier, operational costs of a package-level pedigree system go up for supply chain members while accuracy and confidence in the results go down. Package-level serialization is the key to lower operational costs of a pedigree system. The same is true of a track and trace system. Package-level tracking and tracing is much easier and much more accurate when each package carries a unique identifier. The same is also true of a package authentication system, whether at the point-of-dispense (POD), point-of-receipt or via text messaging or voice call by the patient. In all of these anti-counterfeiting technologies, serialization is the key, but they all require some form of data communications and data repository(ies) too, to enable some type of validation check(s). Without some kind of check, the application of a unique identifier can’t really be considered an anti-counterfeiting technology. It is the check that transforms the unique identifier, the data communications and data repository into a technology that can block, stop and detect counterfeit drugs. Perhaps it is the check that we should focus more attention on in our consideration of pedigree and track and trace legislation. Use code 7GFRX during registration and get a 10% discount, courtesy of RxTrace! Let’s continue this conversation next week at the 7th Global Forum on Pharmaceutical AntiCounterfeiting and Diversion in Washington DC. As always a good and thought provoking essay. I’m particularly interested in your idea: ” I want to focus on serialization as an anti-counterfeiting technology.” for this essay. My contention has always been that tracing is not enough. Relying on tracing the cow has already left the barn. You counterfeit and it is in the channel and dispensed and THEN you decide to look for it. Patients have already been impacted. Tracking is the key. Validate as you go and before it moves one iota further through the channel. I’m stymied by our industry. We are so terrified that someone will see some sales data, a shipment, an inventory! We, all of us, do this to ourselves and to our patients. Sharing of data would likely solve this problem without the need for costly measures but I guess we are so concerned with making money we want to spend it needlessly.